William Miller was awarded the J.O. Hirschfelder Prize from the University of Wisconsin in 1996 and the Ira Remsen Award by the Chesapeake Bay section of the American Chemical Society in 1991. BERKELEY, CA, September 18, 2018 — Marquis Who's Who, the world's premier publisher of biographical profiles, is proud to present William Miller with the Albert Nelson Marquis Lifetime Achievement Award. An accomplished listee, Dr. Miller celebrates many years' experience in his professional network, and has been noted for achievements, leadership qualities, and the credentials and successes he has accrued in his field. As in all Marquis Who's Who biographical volumes, individuals profiled are selected on the basis of current reference value. Factors such as position, noteworthy accomplishments, visibility, and prominence in a field are all taken into account during the selection process. Dr. Miller began his career as a junior fellow with the Society of Fellows at Harvard University in Cambridge, Massachusetts from 1967 to 1969. He was also a postdoctoral fellow of NATO at Albert Ludwigs University of Freiburg from 1967 to 1968. Following this opportunity, he served as an assistant professor of chemistry at the University of California, Berkeley from 1969 to 1972. From 1972 to 1974, Dr. Miller accepted the position of associate professor at the University of California, Berkeley. He maintained involvement with the University of California, Berkeley from 1974 to 2010 as a full professor, becoming a chancellor's professor from 1998 to 2001 and a Kenneth S. Pitzer distinguished professor from 1999 to 2011. During this time, he was also the chair of the chemistry department from 1989 to 1993. Dr. Miller has been a Kenneth S. Pitzer distinguished professor emeritus and a professor of the graduate school at the University of California, Berkeley since 2011. 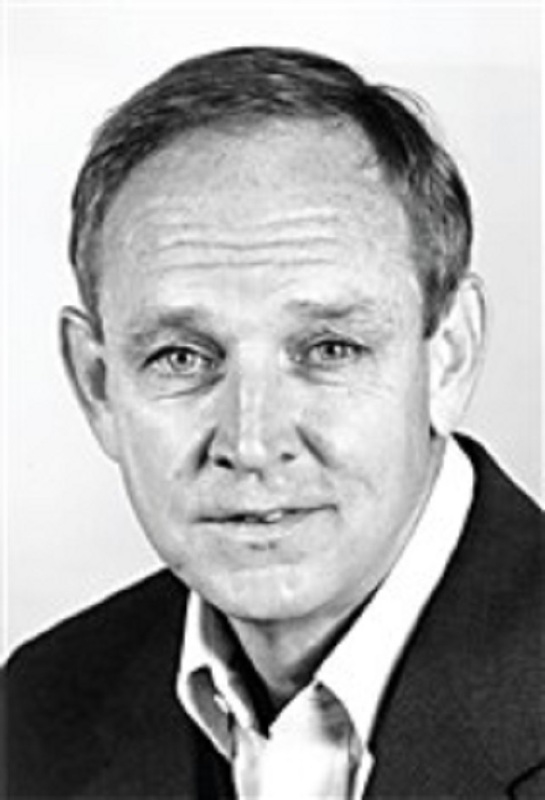 In addition to his career, Dr. Miller was a member of the theoretical chemistry review committee for the Los Alamos National Laboratory in 1977 and on the policy board of the National Resource for Computation in Chemistry from 1977 to 1980. From 1972 to 1979, he worked as a consultant for the molecular physics department of SRI International, and from 1985 to 1986, he was a member of the scholarship committee for the Winston Churchill Foundation of the United States of America. Likewise, Dr. Miller was a member of the committee on recommendations for the United States Army Research Laboratory from 1987 to 1990 as well as the committee on atomic, molecular and optical sciences of the National Research Council from 1988 to 1991. Since 1989, he has been an honorary board member of the World Congress of Theoretical Organic Chemists. Dr. Miller has also held a number of other notable positions throughout the years, including external reviewer and foreign councilor at the Institute of Molecular Science in Okazaki, Japan, chair of the American Physical Society, external examiner of the National University of Singapore and secretary of the International Academy of Quantum Physics in Paris, France. Prior to embarking on his career, Dr. Miller received his Bachelor of Science in chemistry from the Georgia Institute of Technology in 1963. Following this accomplishment, he earned his Master of Arts from Harvard University in 1964. Dr. Miller concluded his education with a Doctor of Philosophy in chemical physics from Harvard University in 1967. Dr. Miller has contributed over 400 articles to professional journals and has given over 250 lectures and presentations in his field. He has been published in such journals as The Journal of Chemical Physics, Chemical Physical Letters, Accounts of Chemical Research, Physical Review A and the Faraday Discussions of the Chemical Society, among many others. Dr. Miller has also been on a number of editorial boards, such as Chemical Physics from 1973 to 1996, the Journal of Chemical Physics from 1976 to 1979, Nouveau Journal de Chimie from 1977 to 1987, Advances in Quantum Chemistry from 1987 to today and the Journal of Chemical Theory and Computation since 2002, among others. Dr. Miller was elected to the International Academy of Quantum Molecular Science in 1985, the National Academy of Science in 1987, and the German National Academy of Science Leopoldina in 2011. He is also a foreign member of the Royal Society in 2015. He is also a member of the American Chemical Society, the international advisory committee of the center for theoretical and computational chemistry at the Dalian Institute of Chemical Physics for the Chinese Academy of Sciences and the honorary board of the International Society for Theoretical Chemical Physics. Dr. Miller is also a fellow of the American Association for the Advancement of Science, the American Academy of Arts & Sciences and the American Physical Society. From 1970 to 1972, Dr. Miller garnered an Alfred P. Sloan research fellowship as well as a Camille and Henry Dreyfus teacher sholarship from 1973 to 1979. He was recipient of the Annual Prize of the International Academy of Quantum Molecular Science in 1974. From 1975 to 1976, he was an overseas fellow at Churchill College at the University of Cambridge and a John Simon Guggenheim memorial fellow. He was honored as a Miller Research Professor by the University of California from 1978 to 1979 and 1998 to 1999 and received the Alexander von Humbolt Senior Scientist Award from 1981 to 1982. He was presented with the Ernest Orlando Lawrence Memorial Award in 1985 and the Irving Langmuir Award by the American Chemical Society in 1990. Dr. Miller accepted the Christensen visiting fellowship at Saint Catherine's College in 1993, an Award from the American Chemical Society and recognition as a Honorary Professor at Shandong University in the People's Republic of China in 1994. Dr. Miller was awarded the J.O. Hirschfelder Prize from the University of Wisconsin in 1996 and the Ira Remsen Award by the Chesapeake Bay section of the American Chemical Society and the College of Sciences Alumni Achievement Award by the Georgia Institute of Technology in 1991. In 1998, he was honored with the Spiers Medal from the Faraday division of the Royal Society of Chemistry in London, and in 2000, he was recognized as a Cherry L. Emerson Distinguished Visiting Professor by Emory University. He was later bestowed with the Peter Debye Award by the American Chemical Society in 2003 and the Welch Award in Chemistry by the Welch Foundation in 2007. Dr. Miller also received the Herschbach Prize in 2007 and the Ahmed Zewail Prize in 2011. He was celebrated with the Robert S. Mulliken Award by the University of Chicago in 2016 as well. Dr. Miller has been previously selected for inclusion in the 2nd edition of Who's Who of Emerging Leaders in America and multiple editions of Who's Who in the World, Who's Who in the West, Who's Who in Science and Engineering, Who's Who in American Education and Who's Who in America. In recognition of outstanding contributions to his profession and the Marquis Who's Who community, Dr. Miller has been featured on the Albert Nelson Marquis Lifetime Achievement website. Please visit www.ltachievers.com for more information about this honor.